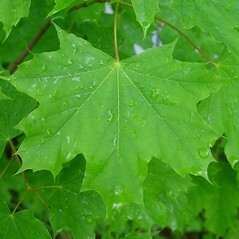 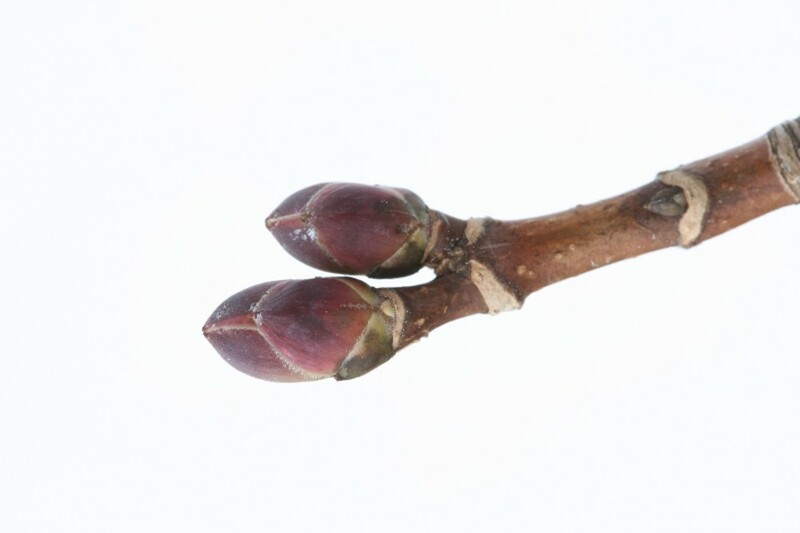 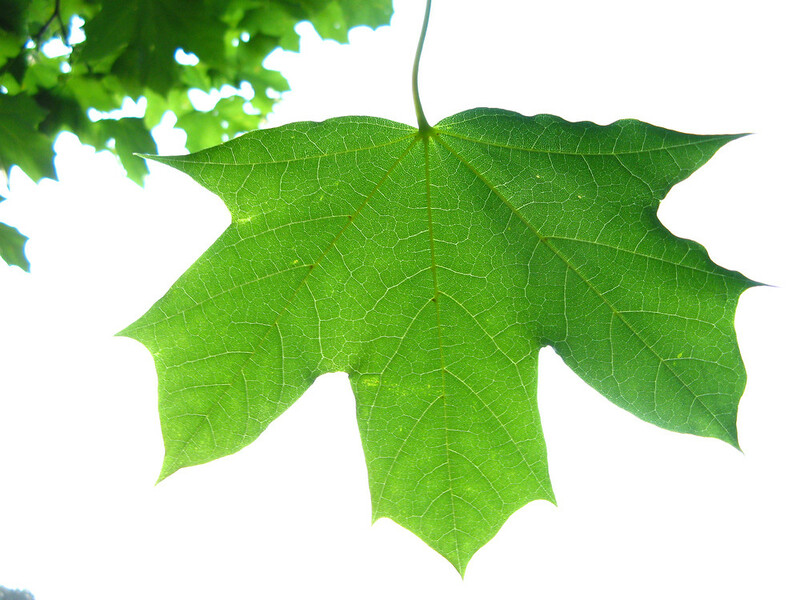 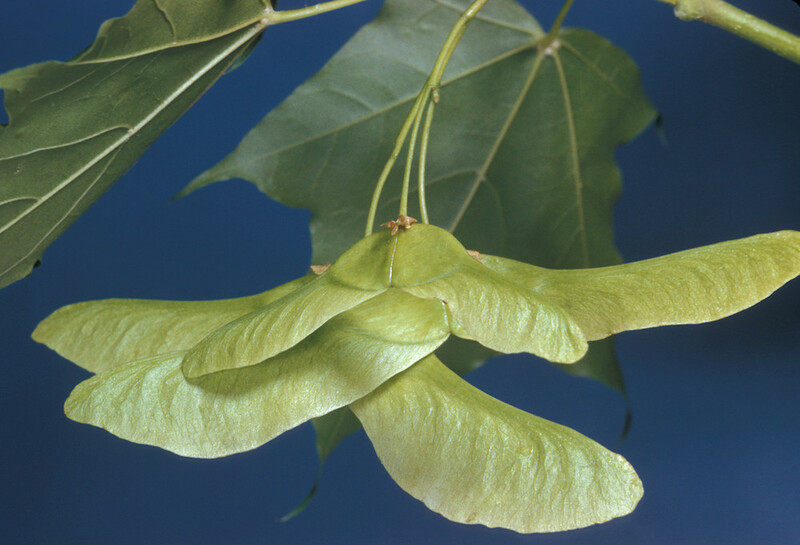 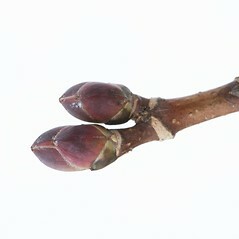 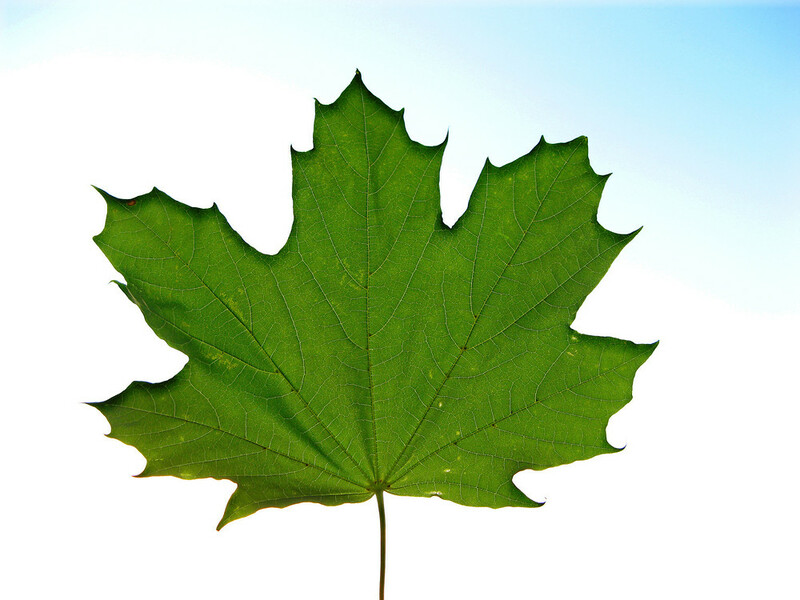 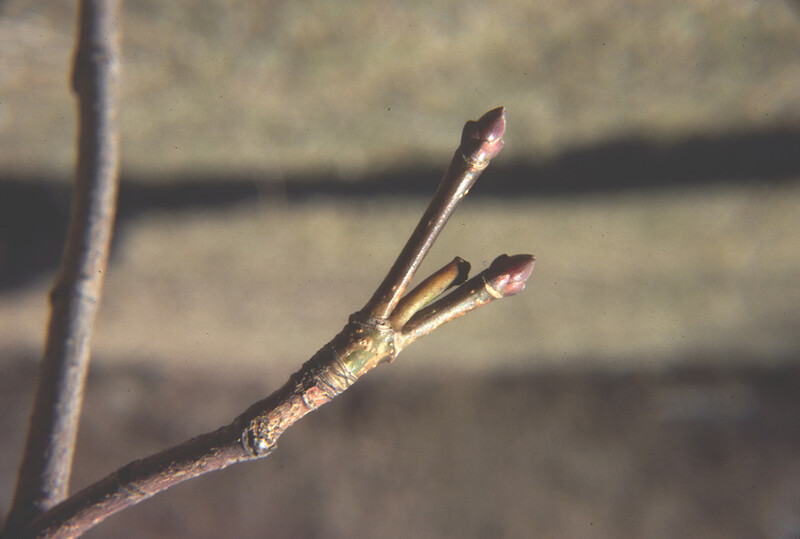 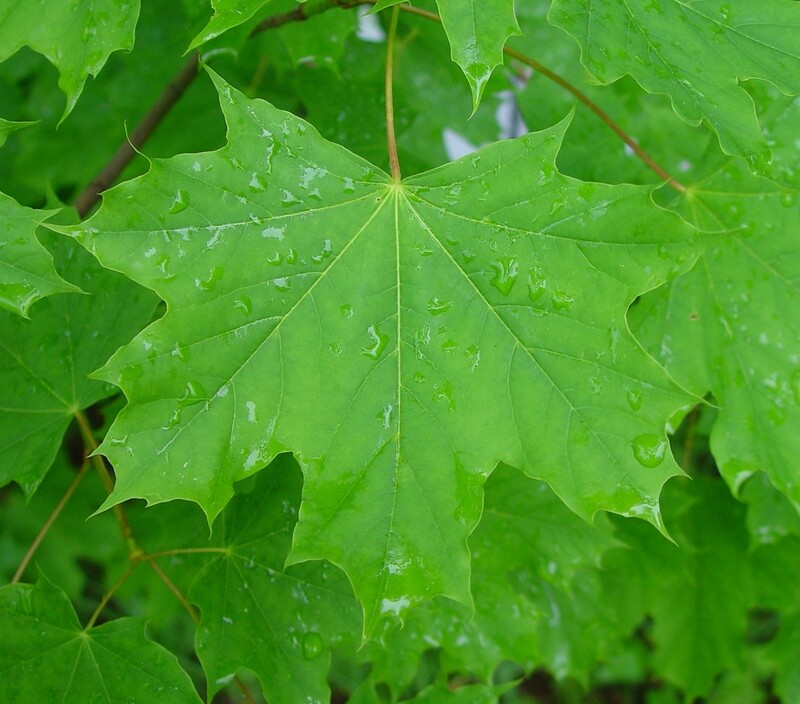 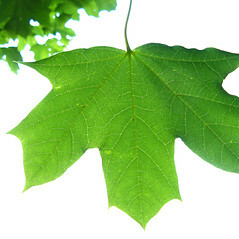 The leaves of Norway maple closely resemble those of sugar maple, but the petioles exude a white sap when broken. 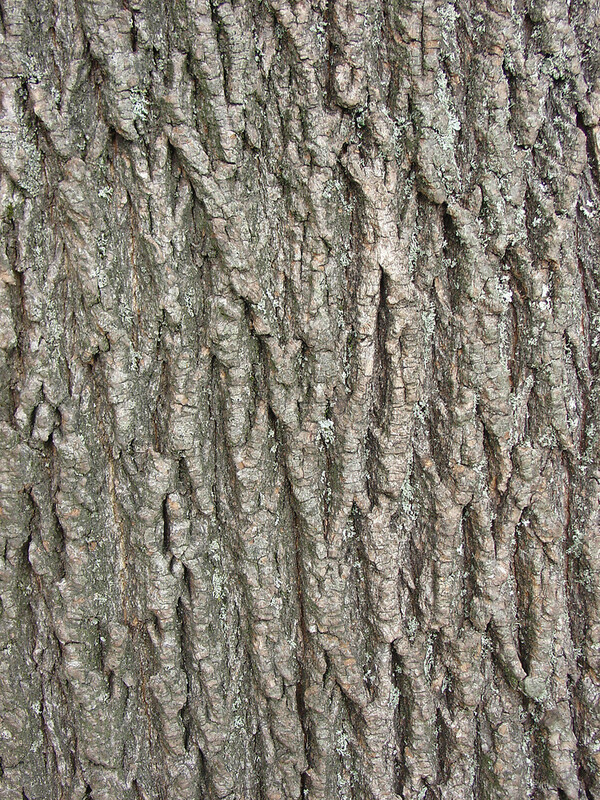 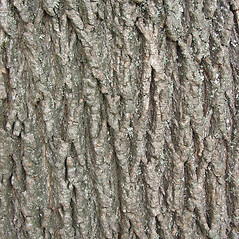 The gray bark has even grooves. 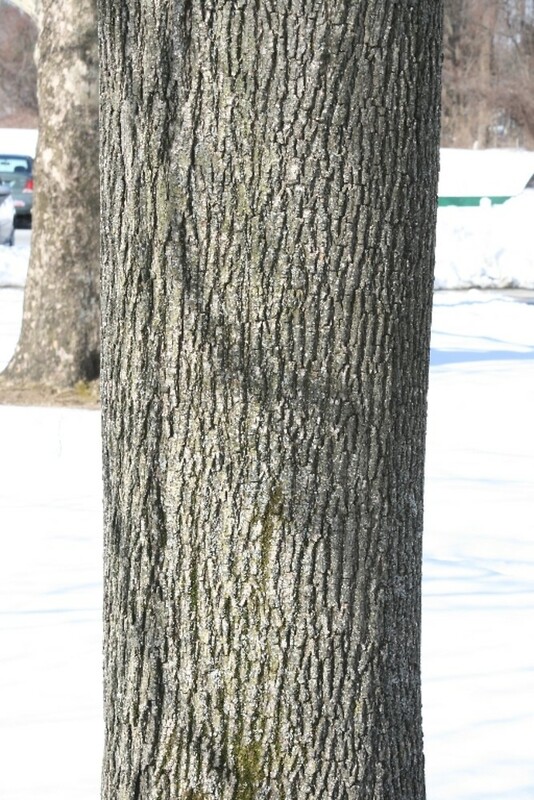 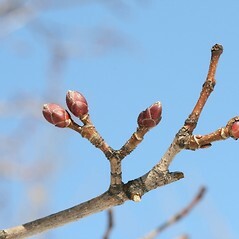 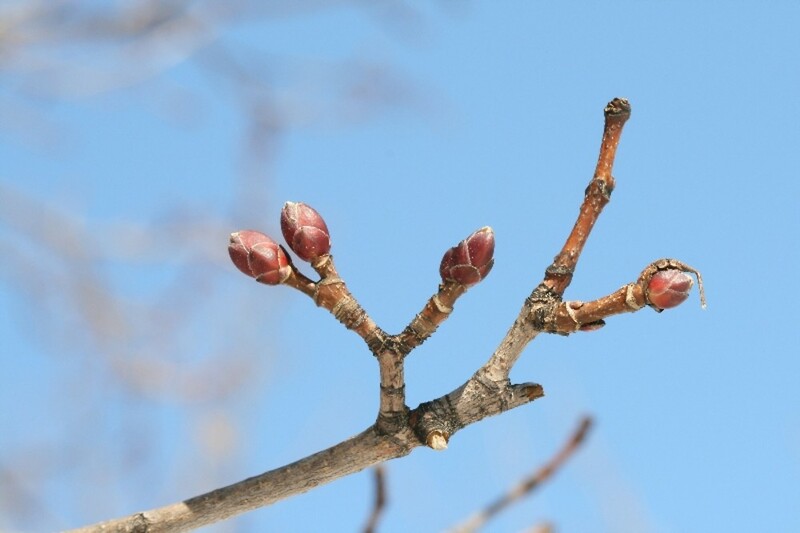 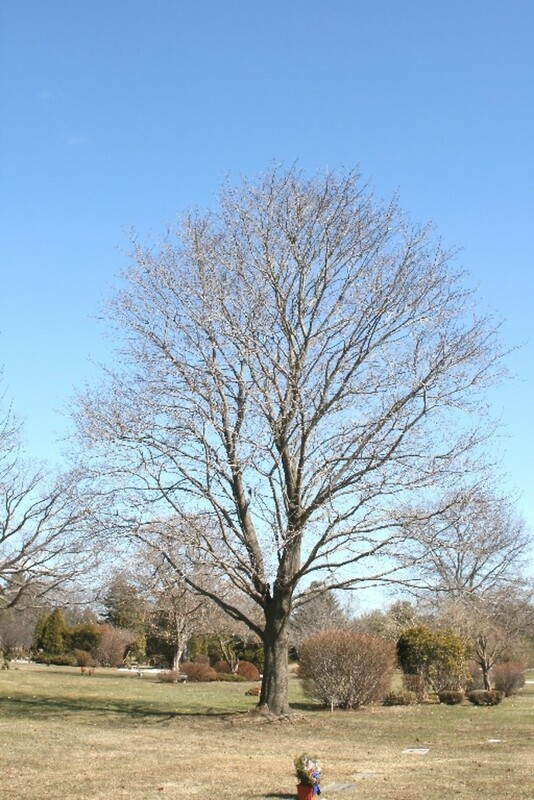 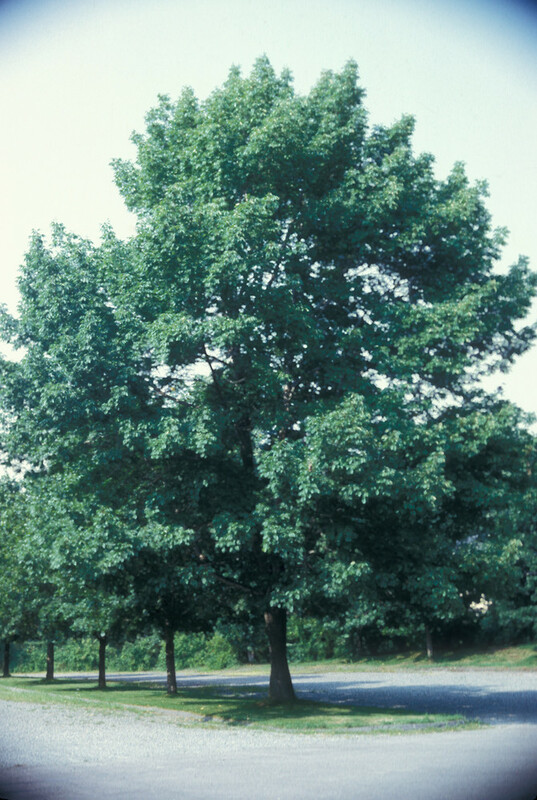 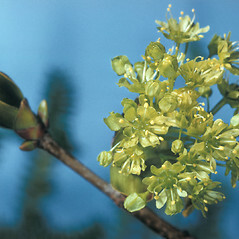 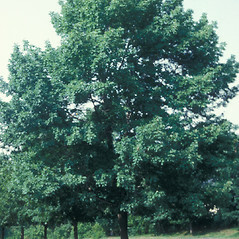 First introduced by the famous Pennsylvania botanist, John Bartram, in 1756, this species is very popular as a hardy street tree. 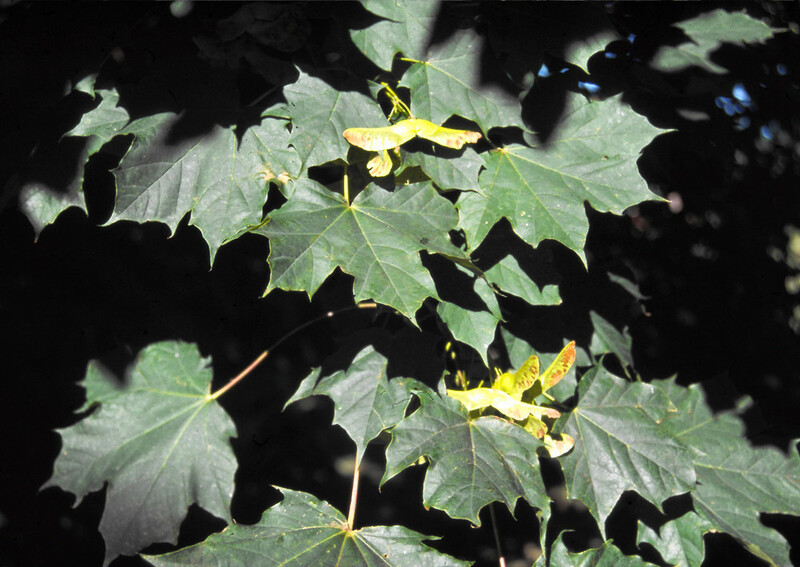 However, it has readily spread through New England forests and is now regarded as an invasive species, capable of shading out native trees. 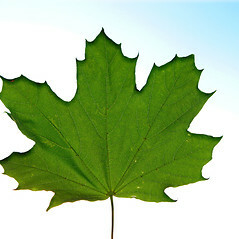 leaf blades marginal cilia and with blunt lobes (vs. A. platanoides, with leaf blades without marginal cilia and with pointed lobes). 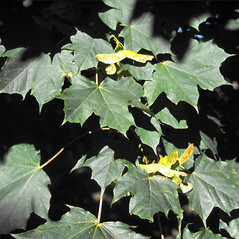 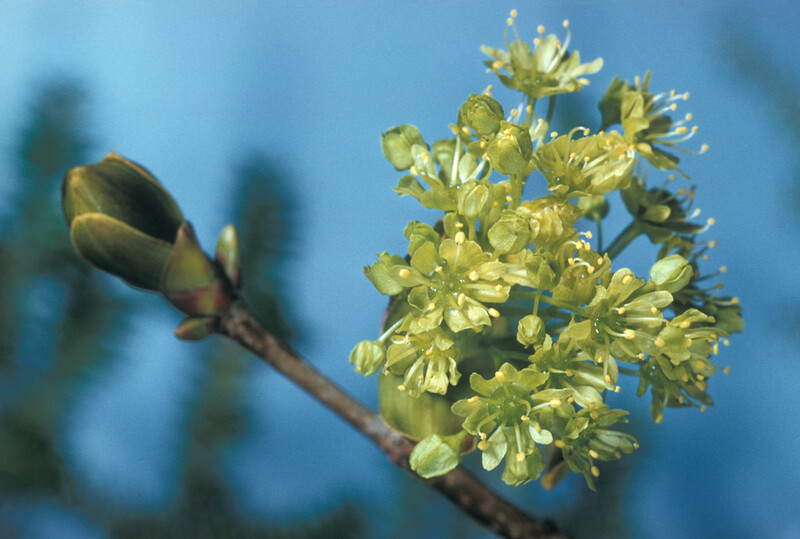 broken leaf stalks yielding watery sap, flowers with yellow petals, and fruit wings diverging at an angle of 170-180 degrees (vs. A. platanoides, with broken leaf stalks yielding milky sap, flowers without petals, and fruit wings diverging at an angle of 60-120 degrees ). 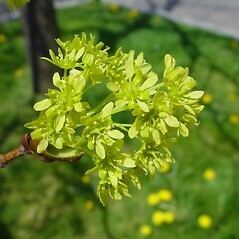 Norway maple. 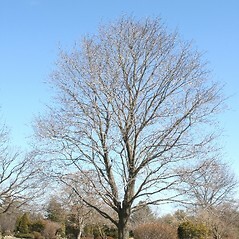 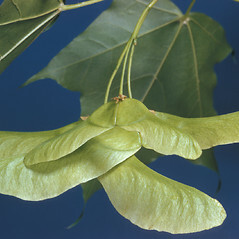 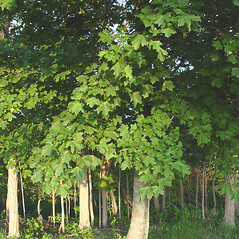 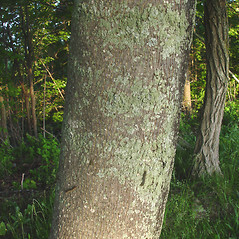 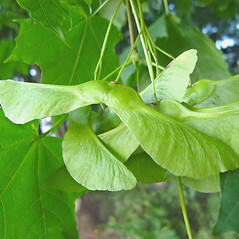 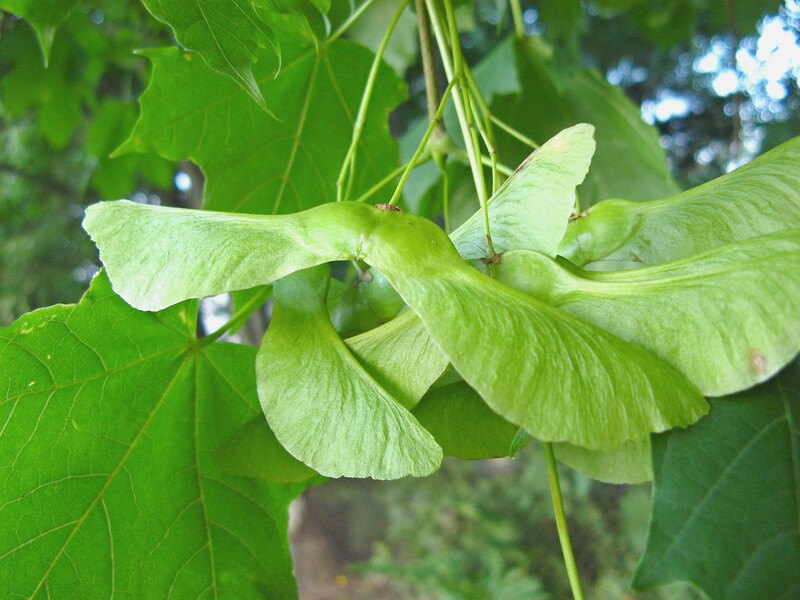 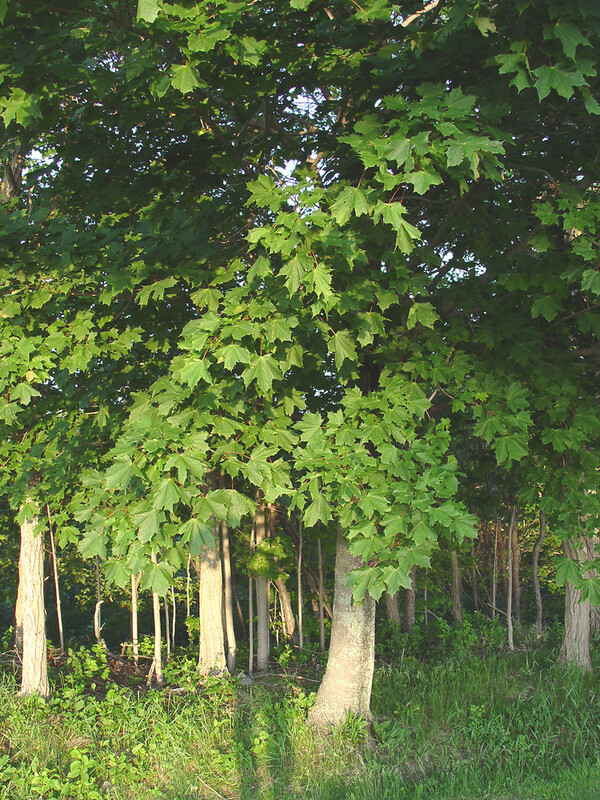 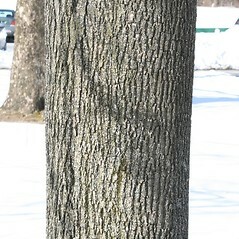 Acer platanoides L. var. 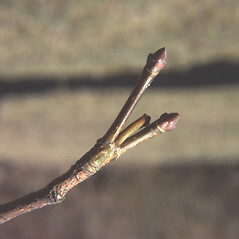 schwedleri Nichols. 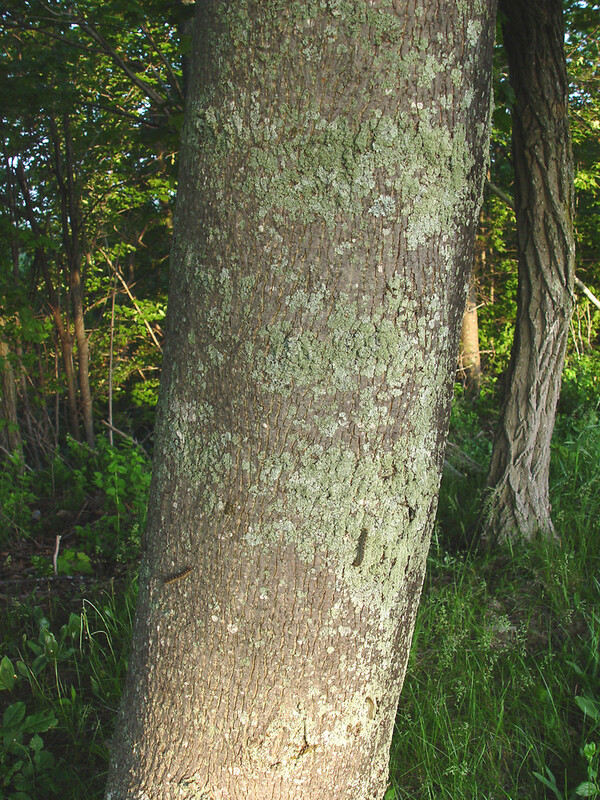 • CT, MA, ME, NH, RI, VT. Roadsides, waste areas, forest fragments, areas of habitation.